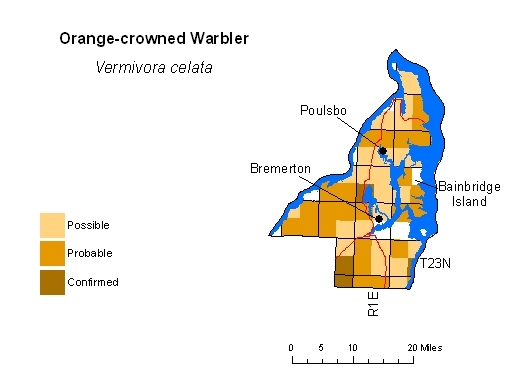 Most widespread breeding warbler in western counties, where common at low and middle elevations in shrubby growth in young hardwood stands, less so in mature forests. Absent from high mountains on both sides of Cascade crest north of Snoqualmie Pass. 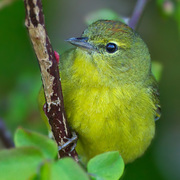 Farther south, spills over crest into moist forests, with single breeding confirmation at Stampede Pass. Records thinly scattered farther east in Kittitas County, mostly in lower forest zones. True status there remains unclear, as many May and late-July records possibly represent migrants.